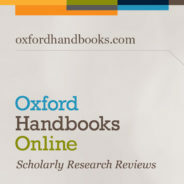 Oxford Handbooks Online (OHO), the home of scholarly research reviews, is an outstanding collection of the best Handbooks in 15 subject areas and growing. The collection of Oxford Handbooks is one of the most prestigious and successful strands of Oxford’s scholarly publishing, containing in-depth, high-level articles by scholars at the top of their field. With the emergence of a new picture of our expanding universe in the 1960s, the nature of dark energy became a top priority in fundamental physics. Another and related priority, of a somewhat older age, was to understand the nature of the dark matter that was known to dominate over the ordinary matter in a ratio of about 5:1. Already, around 1990, it was agreed that the major part of the mysterious dark matter was ‘cold’, meaning that it is made up of relatively slowly-moving particles unknown to experimenters but predicted by physical theory. The particles of cold dark matter (CDM) were collectively known as WIMPs—‘weakly interacting massive particles’. Several such hypothetical particles have been suggested as candidates for the exotic dark matter, and some are more popular than others, but the nature of the dark-matter component remains unknown. Perhaps the most controversial of the modern cosmological hypotheses is the idea of numerous separate universes, or what is known as the ‘multiverse’—a term first used in a scientific context as late as 1998. Although speculations of other universes extend far back in time, the modern multiverse version is held to be quite different, and scientific in nature. The basic claim of the multiverse hypothesis is that there exists a huge number of other universes, causally separate and distinguished by different laws and parameters of physics. We happen to inhabit a very special universe, with laws and parameters of just such a kind that they allow the evolution of intelligent life-forms. 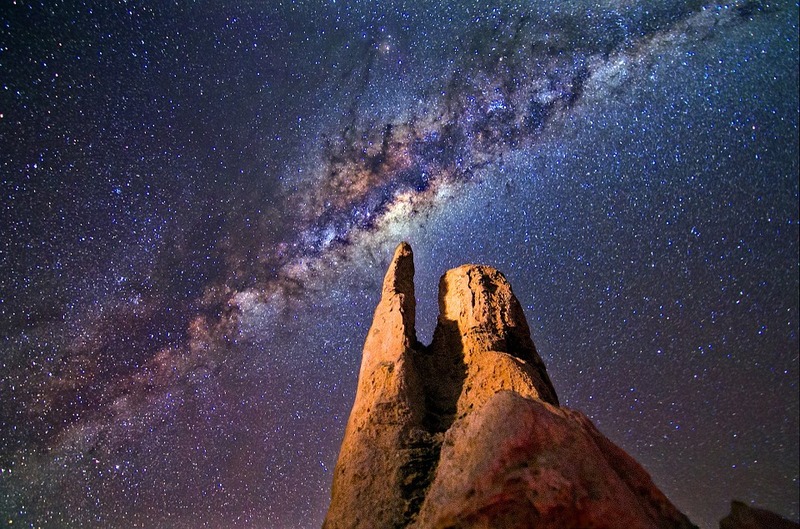 “Milky Way, Rocks, Night” by skeeze. Public Domain via Pixabay. This general idea became popular among some physicists in the 1990s, primarily motivated by developments in inflation theory but also inspired by the anthropic principle and the many-worlds interpretation of quantum mechanics. The main reason why the multiverse is taken seriously by a growing number of physicists, however, is that it has received unexpected support from the fundamental theory of superstrings. Based on arguments from string theory, in 2003 the American theorist Leonard Susskind suggested that there exists an enormous ‘landscape’ of universes, each of them corresponding to a vacuum state described by the equations of string theory. Why is graphene so important? This unassuming material could change the future of electronics and engineering as we know it. Recent research has unearthed extraordinary properties, including graphene sheets being ten times tougher than steel and exceptionally effective electrical conductors. Amazingly, they are also transparent to visible light – meaning they can be used for conveying information between optical fibres. Although the theoretical study of graphene started in the 1950s, the experimental study of graphene had not been realized until the recent discovery and characterization of exfoliated graphene by Novoselov et al. (2004) and epitaxial graphene by Berger et al. (2004). Because of its fundamental importance in physics as a realization of a relativistic condensed-matter system (i.e. a non-quantum mechanical description of a system of particles), as well as its application potentials in next-generation electronics, research interest in graphene has been rising rapidly. Even though it might take a long time before graphene’s full application potentials can be fully realized, graphene is an incredibly intriguing system with a lot more to be explored. Can we explain the direction of time? “Clock, Wall Clock, Watch” by Monoar. Public Domain via Pixabay. 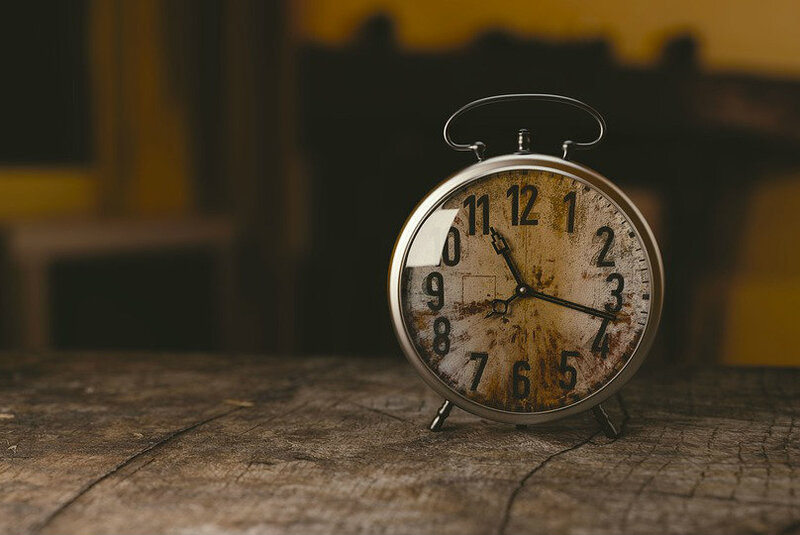 Many of the most debated topics in current physics cross over into the realm of philosophy, none more so than the nature of time. Although most of the fundamental physical laws are unchanged under time reversal, there are several classes of phenomena in nature that exhibit an arrow of time (i.e. a one-way direction). Because most subsystems in the universe cannot be considered as isolated, these various arrows of time all point in the same direction. The question then arises whether there exists a master arrow of time underlying all these arrows. The tentative answer is yes. Already Ludwig Boltzmann has speculated about a possible foundation of the Second Law of Thermodynamics from cosmology: it is the huge temperature gradient between the hot stars and the cold space which provides the entropy capacity (i.e. disorder and randomness in our expanding universe) which is necessary for the entropy to increase, instead of being already at its maximum. Historically, the state of the universe was rarely a subject of scientific interest. As the British astrophysicist Malcolm Longair remarked in an address in 1985: “The future of our Universe is a splendid topic for after-dinner speculation”. What has been called “physical eschatology” only began in the 1970s with the work of Martin Rees, Jamal Islam, Freeman Dyson, and a few others. What these physicists did was to extrapolate the current state of the universe into the far future, conservatively assuming that the presently known laws of physics would remain valid. The favoured scenario in this kind of research was the open, continually expanding case, where the picture would typically start with the extinction of stars and their later transformation into neutron stars or black holes. Some of the studies of the far-future universe included speculations on the survival of intelligent life—either humans, or their supposedly much more intelligent descendants (which might be self-reproducing robots rather than beings of flesh and blood). In a lecture entitled “Time Without End” in 1978, Dyson argued that in an open universe life might survive indefinitely. Ultimately, this is a topic that has never been definitively settled – and is still up for debate. Featured image credit: “Water, Drop, Liquid” by qimono. Public Domain via Pixabay. This blog post was written by the Oxford Handbooks marketing team.